As the third largest energy source globally, natural gas is already playing a vital role in the industrial world today. While global energy demand in the future will continue to be fulfilled mainly by fossil fuels, the importance of natural gas is projected to grow within the energy mix. Natural gas treatment plants perform multiple treatment steps to remove acid gases and other impurities. 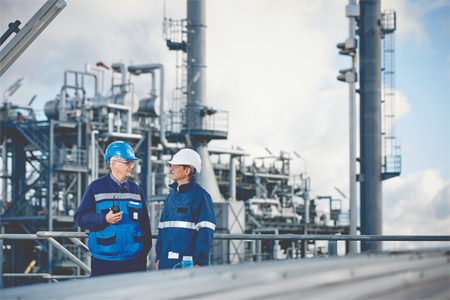 How do you monitor H2O, H2S, CO2, and O2 in natural gas? Tunable Diode Laser Absorption Spectroscopy (TDLAS) analyzers from SpectraSensors, one of our related companies, perform on-line, real-time measurements of impurities in natural gas streams from sub-ppm levels to percentage levels. The unique design of such analyzers provide significant advantages over other technologies for monitoring H2O, H2S, and CO2 in natural gas and natural gas liquids (NGLs). Raw natural gas is a complex mixture of methane (CH4), hydrocarbon condensates (natural gas liquids – NGLs), water, and contaminants; hydrogen sulfide (H2S), and carbon dioxide (CO2). The composition of natural gas varies based on the geological formation it is extracted from. Reliable solutions that help to efficiently control the process of separating methane from other hydrocarbons, water and contaminants are indispensable. Raw natural gas from different formations contains varying amounts of acid gases (H2S and CO2). Gas sweetening processes remove acid gases from sour gas and amine treatment is used to scrub H2S and CO2. In operation, sour gas is contacted with an aqueous amine solution which removes H2S and CO2by chemical reaction and absorption. We provide solutions that measure the acid gas concentration at the inlet and outlet of an amine treatment unit helping to optimize the performance of this module. Sweet natural gas exiting the amine treatment unit is saturated with water vapor. Some water can be removed by passing the wet gas through a knock-out drum, followed by compression and cooling. Molecular sieve dehydration is then used to obtain the very low H2O concentrations (< 0.1 ppm) required for cryogenic processes in NGL recovery units and for LNG production. Our analyzers can support you in this task as they detect breakthrough in molecular sieve beds.